The public Facebook page for TIME FOR ACTION – UK Families Affected by HPV Vaccination, shares campaign news, latest research and new developments relating to HPV vaccination. Like our page to show your support for our campaign. This is a Closed Facebook group for UK parents of girls who have experienced health problems after HPV vaccination, and for the girls themselves if they over the age of 18. The group is for discussion and updates of TIME FOR ACTION campaign news and to provide parents with a support network. This is a Closed Facebook group for parents of girls who have experienced health problems after HPV vaccination from around the world, and for the girls themselves if they over the age of 18. The group is for discussion and sharing of campaign experiences in different countries and to provide parents globally with a support network. Dysautonomia International was founded in 2012 by patients, caregivers, physicians and researchers dedicated to assisting people living with various forms of dysautonomia. An excellent resource for those who want to find out more about the various conditions under the umbrella of ‘dysautonomia’. 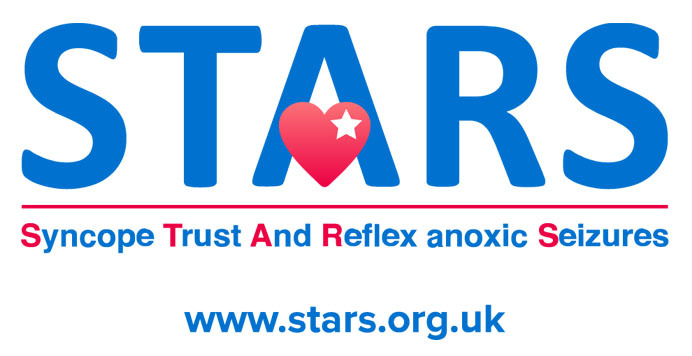 STARS (Syncope Trust And Reflex anoxic Seizures) is an international charitable organisation offering information and support to anyone affected by unexplained loss of consciousness, blackouts, transient loss of consciousness, and syncope. The overall aim of the charity is to ensure that anyone presenting with unexplained loss of consciousness receives the correct diagnosis, the appropriate treatment, informed support and sign posting to the appropriate medical professional. Complex Regional Pain Syndrome (CRPS), formerly Reflex Sympathetic Dystrophy, is a poorly understood condition, which can cause a person to experience persistent, severe and debilitating pain. Burning Nights aims to improve the quality of life for sufferers, carers, families and friends. Increasing knowledge of CRPS on a global and national scale in the UK is a necessity. Invest in ME Research is an independent UK charity facilitating and funding a strategy of biomedical research into Myalgic Encephalomyelitis (ME or ME/CFS), and promoting better education about ME. The charity is run by volunteers – patients or parents of children with ME. Invest in ME want to establish a national strategy of biomedical research into ME and establish a UK and European Centre of Excellence for biomedical research into ME. Tymes Trust is the longest established national UK service for children and young people with ME and their families. It is a respected national charity whose entire professional team give their time free of charge. They work constantly with doctors, teachers and other specialists, and played a major role in producing the children’s section of the Dept of Health Report on CFS/ME (2002). In 2010 The Young ME Sufferers Trust received the Queen’s Award for Voluntary Service – the MBE for volunteer groups – for pursuing the educational rights of children with ME and advancing their care. The VVSG was set up to help support vaccine damaged children and their families but in more recent years has expanded to include vaccine damaged adults. The group continues to campaign for a reform of the out dated Vaccine Damage Payment Act 1979, that would give vaccine damage victims, past and future, realistic financial awards to support them for life. A priority for the Group is to bring about reform of the Act and to continue to work with MPs through the All Party Group for Vaccine Damaged People. Justice, Awareness and Basic Support (Jabs) is a support group for parents who believe their children have suffered severe harm or have died following childhood vaccinations. The group was launched in January 1994 and has been fighting to achieve justice for children and their families and continues to raise awareness of all things vaccine related and offers basic support where we are able. The UK Association of HPV Vaccine Injured Daughters (AHVID) was formed at the beginning of 2015 to provide support for families of girls adversely affected by the HPV vaccination. The Association puts families in touch with each other, shares support and experiences and works to bring about greater awareness of the risks associated with the HPV vaccines. Reactions and Effects of Gardasil Resulting in Extreme Trauma (R.E.G.R.E.T) was set up by parents of Irish teenage girls who have developed serious health problems after HPV vaccination. The primary goal of the parents in the group is to get help for their daughters. Many are not receiving effective medical treatment and cannot attend school regularly due to debilitating health conditions. GANZ, or Gardasil Awareness NZ, was set up by a group of mothers who believed their daughters suffered serious adverse reactions to the HPV vaccine. It is the aim of the group to create awareness, gain publicity in the media, and lobby the Government and Health Departments in New Zealand about the potential risks of the vaccine. The group is run entirely by volunteers.